On September 20th, the cooper ASCE student chapter teamed up with the SEAoNY student chapter to host a resume workshop. Industry professionals first gave a presentation about creating a good resume, and then worked one-on-one with the students to improve their resumes. Students from Manhattan College also attended the event. 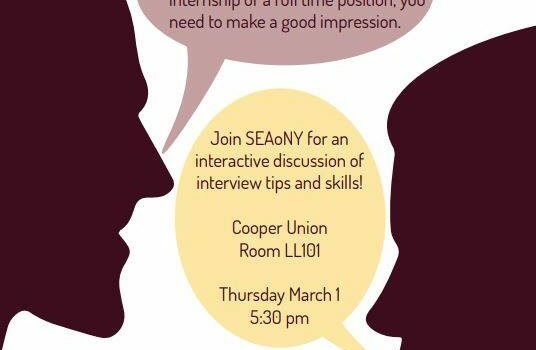 4 working professionals, members of SEAoNY, came to Cooper Union to give Resume Workshop to students. 15 students participated. Thank you Jason, Willam, Jason, and Jack for their time and insights! On March 25th. 3 students from Cooper Union participated in ASCE Met section community garden charity event. Students had a great time volunteering and networking with working professionals.